From roaring adventure to seductive siren songs, family classics to never-ending fun, Victorian Opera’s Season 2018 Encounters boasts epic Australian premieres and new unlimited Season Passes for audiences aged 30 years and under. 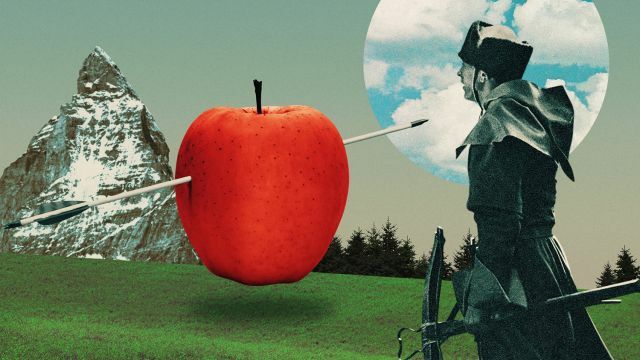 One hundred and eighty-nine years after its Paris Opera debut, Rossini’s final opera William Tell (Guillaume Tell), famed for its iconic overture, receives its Australian premiere season from 14 – 19 July at Palais Theatre, St Kilda. Director Rodula Gaitanou (Royal Opera House, Opera Holland Park) tackles Tell with grit and grandeur in a new production. Canadian baritone Jean-François Lapointe brings his interpretation of the title role to Melbourne. He is joined by Italian bass Paolo Pecchioli and audience favourites Teddy Tahu Rhodes, Carlos E. Bárcenas, Liane Keegan and Jeremy Kleeman. “Victorian Opera is thrilled to present the Australian premiere of Rossini’s epic – his finest opera. This is a logical extension of Victorian Opera’s expertise in and involvement with bel canto repertoire that has been established through our performances of Bellini and Donizetti,” said Mills. Following Norma, I Puritani and La Sonnambula, The Capulets and the Montagues (I Capuleti e i Montecchi) marks the finale of Victorian Opera’s Bellini concert series on 14 September at Arts Centre Melbourne, Hamer Hall. The rarely-heard masterpiece draws two of Australia’s finest singers home as Romeo and Juliet; internationally acclaimed mezzo-soprano Caitlin Hulcup and superstar soprano Jessica Pratt. The Tasmanian Symphony Orchestra travels to Melbourne for the concert conducted by Richard Mills. Claude Debussy’s Pelleas and Melisande (Pelléas et Mélisande) returns to Melbourne after a long absence from the city’s stages. The opera will have two performances only on 11 and 13 October at Palais Theatre, St Kilda. Victorian Opera’s Artistic Associate and Executive Producer Elizabeth Hill directs the opera with set and costume design by current Victorian Opera Developing Artist Candice MacAllister. Australian soprano Siobhan Stagg makes her role debut as Melisande alongside celebrated tenor, and veteran Pelleas, Angus Wood. “2018 is the 100th anniversary of Debussy’s death and this, his only major opera, is a unique gem. It is not often performed and unlike any other opera in the repertoire. It is the perfect vehicle to bring home Siobhan Stagg and Angus Wood; both absolutely ideal for their roles,” said Mills. Victorian Opera celebrates its 20th new work with the world premiere of Lorelei from 3 - 10 November at Merlyn Theatre, The Coopers Malthouse. Ancient myth meets modern woman in the new production directed by Sarah Giles and composed by Julian Langdon, Casey Bennetto and Gillian Cosgriff. “Our commitment to new work is highlighted with the premiere of this opera/cabaret by Julian Langdon, Casey Bennetto and Gillian Cosgriff. It promises to be a hypnotic production bolstered by our enchanting cast of sirens,” Mills noted. Australian divas Ali McGregor, Antoinette Halloran and Dimity Shepherd await audiences at the rock for an intoxicating encounter. Children and families will delight in the return of two productions, The Magic Pudding – The Opera and Hansel and Gretel. Norman Lindsay’s classic storybook The Magic Pudding celebrates its 100th birthday in 2018, the perfect opportunity to restage Calvin Bowman and Anna Goldsworthy’s much-loved adaptation. It will be performed at Arts Centre Melbourne, Playhouse from 15 - 17 March before a regional Victorian tour. Engelbert Humperdinck’s fairy tale opera Hansel and Gretel will be performed as part of Victorian Opera’s Education Program and staged at Arts Centre Melbourne, Playhouse on Saturday 9 June. In 2018, Victorian Opera launches a new initiative for opera diehards aged 30 years and under. The company is releasing an unlimited Season Pass for $100. Season Pass holders will receive unlimited access to the entire 2018 season (Terms and Conditions apply). With only 25 Season Passes available for purchase, eligible audiences are encouraged to be quick! Victorian Opera’s Season 2018 subscriptions are on sale from 7:30pm on Wednesday 27 September and offer significant savings. Single tickets go on sale from Monday 30 October.